D.K. 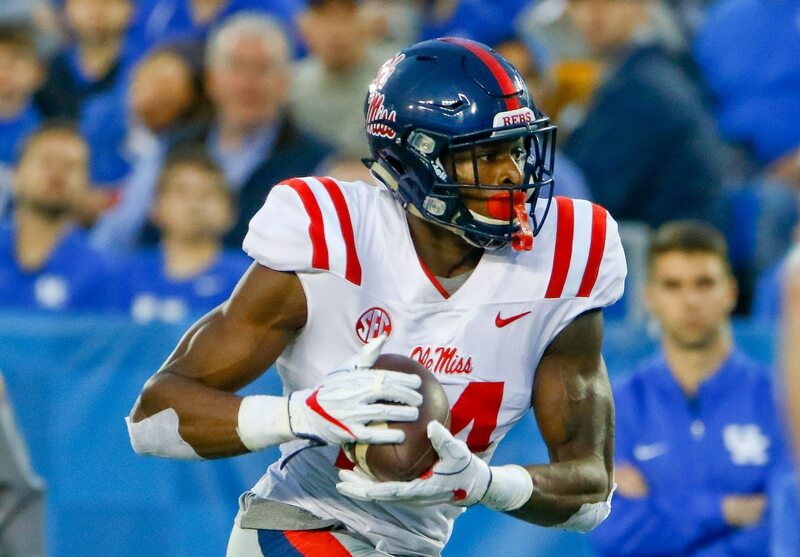 Metcalf was already seen as a big receiver heading into the 2019 NFL Draft, but a new picture of him takes it to a whole other level. He’s the guy on the left, y’all. That’s…that’s not a receiver, is it? Listed at 6-foot-4 and 230 pounds as a member of the Rebels, Metcalf looks more like he’s about 260 right now. Metcalf made some huge plays for Ole Miss the past couple of years (like this) and is an intriguing prospect. However, one wonders if he’s sacrificing speed for power, because honestly he looks like a gosh darn defensive end right now.